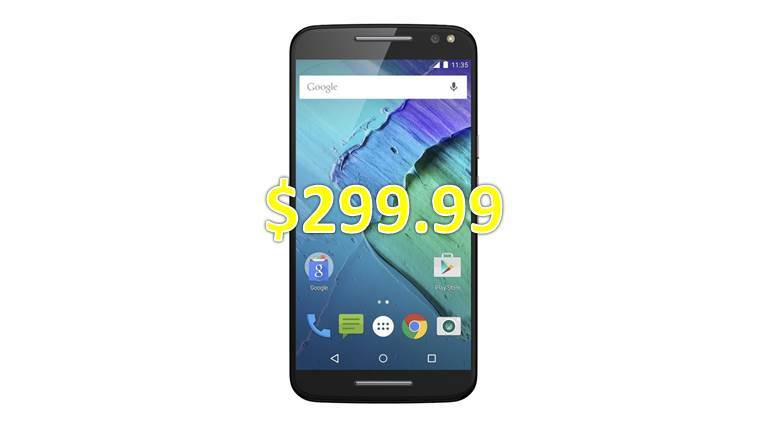 You are at:Home»BUZZ»Moto X Pure Edition on sale for $299.99! While we are very excited that the Samsung Galaxy S7 and its bigger brother the S7 Edge have been released in the wild for all of us, there’s also another smartphone that you should take a look at. For a limited time, the Moto X Pure Edition 16GB version is on sale for $299.99 (a $100 discount). What do you get for $299? Related article: Five reasons why the Moto X Pure Edition is better than the OnePlus 2! For $299, you get a 5.7” IPS 1440p Quad HD display with Gorilla Glass 3, 16GB storage with microSD support (up to 128GB), an awesome 21MP rear camera and a 5MP. Check out the top 5 reasons we love the Moto X Pure Edition. The sale is on for a limited time and while it does not include the full customization of the Moto X line, a $100 savings sound like a good deal. What do you think? Is this a good deal? Did you get a Moto X Pure Edition? Tweet us @AsianGeekSquad!